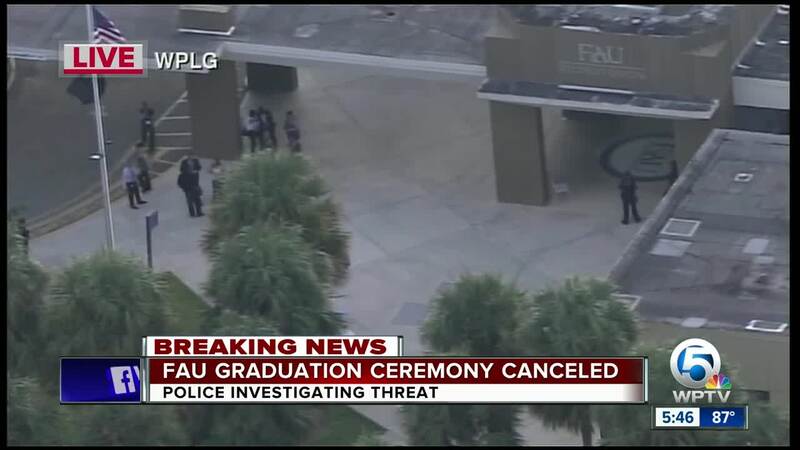 BOCA RATON, Fla. -- Florida Atlantic University's commencement ceremony scheduled for 5pm today has been canceled and the Student Union is being evacuated after the school received what law enforcement considers a credible threat. 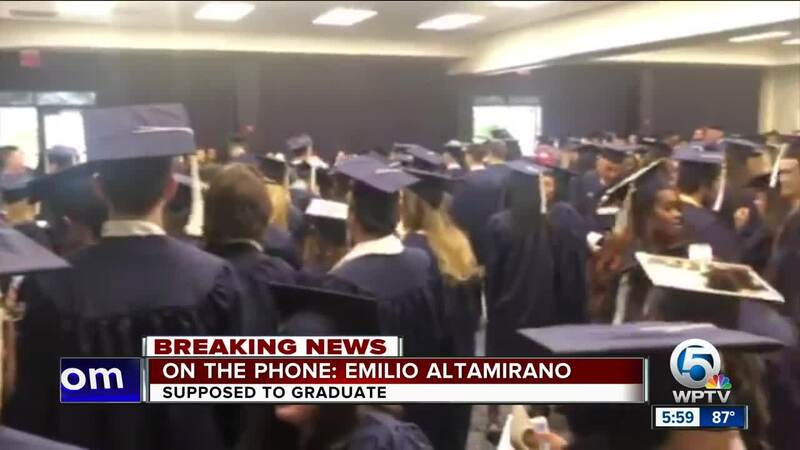 An FAU source tells WPTV that right as the ceremony was about to start, a note was found in a women's bathroom stuck to the mirror that contained a threat in reference to the graduation ceremony. 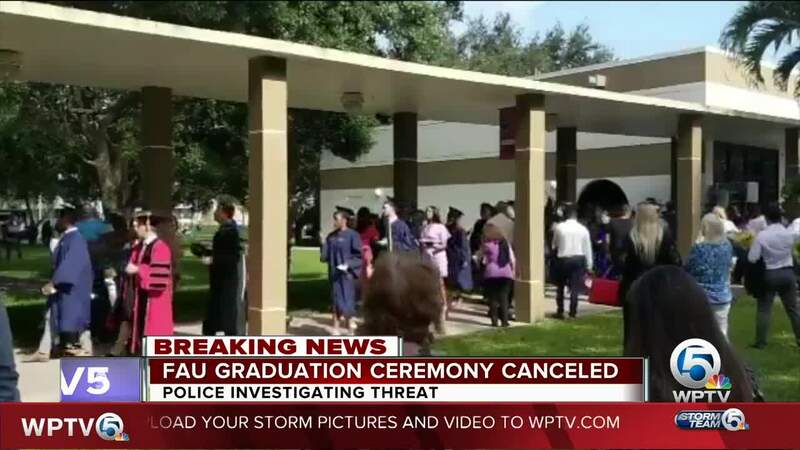 Sean Brammer, Chief of FAU Police, would not specify what type of threat was issued, saying only that it was specific to the commencement. The school is considering different options on rescheduling the commencement ceremony, but have not announced their intentions yet. 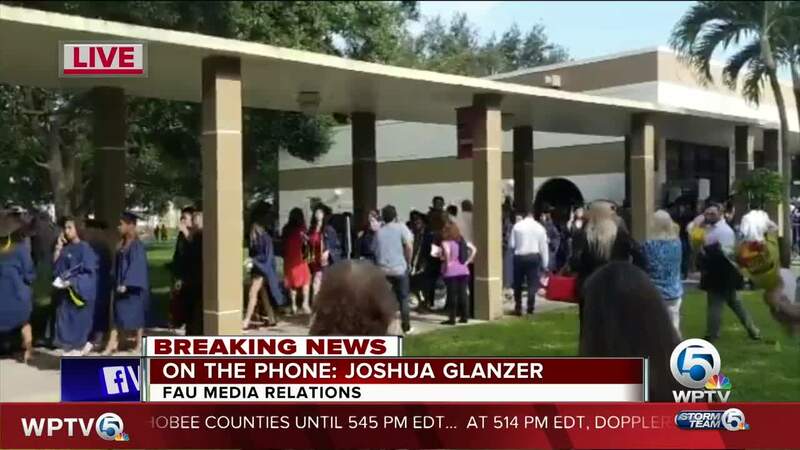 FAU Assistant Vice President Joshua D. Glanzer said "There were 462 students scheduled to participate in the ceremony. Every effort will be made to give these students the recognition they deserve."